Do I Really Need a Kit to Start Brewing Beer? 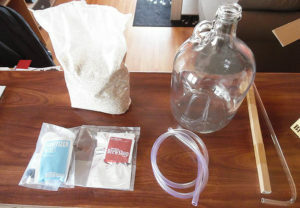 If you are interested in getting started with the process of homebrewing, it might be really tempting to start using a kit for the first time that you actually brew beer. 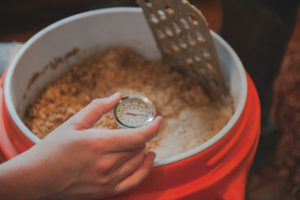 Although it may feel as though many of the largest breweries are actually just scaling up what you are using in a small brew kit, many of the microbreweries and large breweries actually complete their brewing process from scratch. If you wanted to actually get started with brewing beer, there’s no reason why you have to buy a kit. You can pick up the materials that you would commonly need to brew beer and the ingredients that you can put together to make a high quality brew. There are many home brewers that actually prefer the idea of brewing beer without a kit. 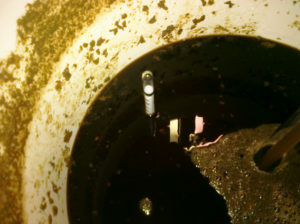 There are a number of preventable mistakes that many home brewers make the first time that they produce a batch of beer. As a somewhat experienced brewer here are some of the main things that I wish I knew before I made my first homebrew. Here are seven things I wish I knew before I made my first homemade beer. 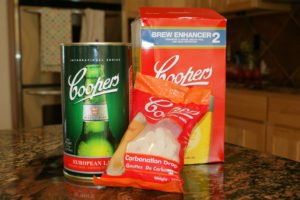 Coopers Beer Kit Review, Is This The Kit For You? If you have heard of major brewing kits before it’s likely that you have come across the idea of the Coopers brewing kit. In most cases these are simple kits that can produce repeatable results for newer brewers. What Coopers beer kits focus on is the idea of keeping things extremely simple. 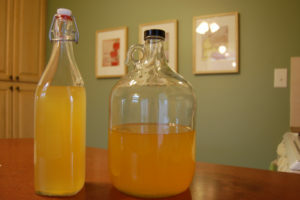 They deliver high-quality materials as well as a nicely packed plastic fermenter, bottles, a bottler, a spoon, a hydrometer, taps, lid for fermenters, a dry erase log, PET caps and bottle, an instructional DVD as well as the full beer kit package for yeast, concentrate and carbonation drops. 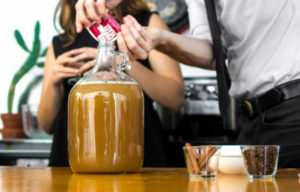 If you love the flavor of fresh cider and you want to get access to the ability to make this in the comfort of your own home, you might want to consider the idea of picking up a cider brewing kit. With the help of one of these products you can learn how to make craft cider with fresh ingredients. 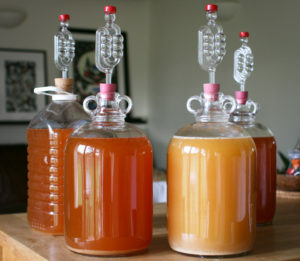 The process of making cider is actually quite simple and around the same level of difficulty as brewing craft beer. 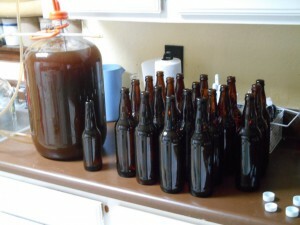 If you want to get started making homemade beer and you don’t want to purchase a kit directly, there are a number of ways that you can get started with this process using a not so secret recipe. Making beer at home is actually incredibly simple and with some of this basic equipment and these steps, you’ll be sipping on beer you made yourself in just a few short weeks. 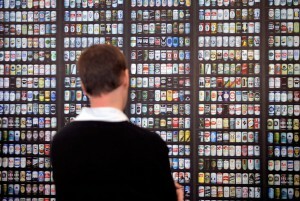 What Are The Proven Craft Beer Health Benefits? 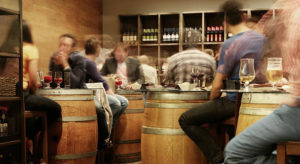 People throughout history have been crafting and drinking beer and if you are a beer enthusiast you may be interested to know that drinking fresh beer or craft beer can actually come with some incredible health benefits. 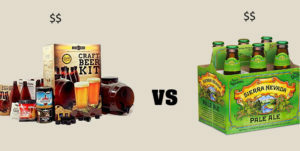 Mr. Beer Vs Northern Brewer: Which Kit is The Best? 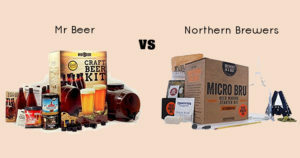 Two of the most popular beer kits currently are the Mr. Beer kit as well as the Northern Brewer kit. Making a decision between these two popular styles can often be beneficial when you are searching out the best investment for your own home brewing. Making a good decision will help to ensure that you can get a kit which is a great value as well as easy-to-use. Here are some of the pros and cons of each one of these kits and which one that we prefer most as expert brewers. 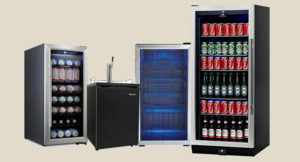 If you are looking for a great fridge that you can use to keep your beer cold and help you out as a home brewer, you likely have limitless options available to you. As passionate home brewers we are very interested in finding out about all of the latest items that can help lessen other brewers that we know to have greater success with their home brewing hobby. If you are looking for a quality beer fridge in the year 2018, we have six of the best available for you here. Is Home Brewing Cost Effective? What Are All The Expenses? 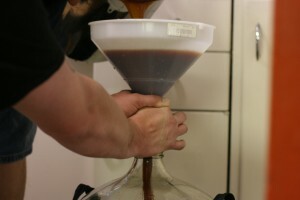 Many people that start homebrewing consider it as a cost-effective idea. They are tired of going to the store regularly to pick up beer and paying a premium for fresh craft beer when they can easily produce it in their own home. How Difficult is Home Brewing for Total Beginners? Brewing the best IPA may be much easier than you might think especially with the wealth of tools which are available in homebrew kits. India Pale Ale remains one of the highest selling homebrew kits available for purchase. 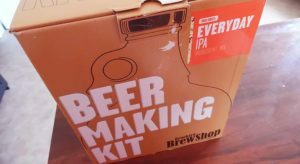 The big problem that many consumers face however is that with the ever-growing number of homebrew kits on the market, it’s very tough to actually pick out an IPA beer making kit that might be one of the best ones on the market. Here are some of the top selling IPA beer making kits as well as what sets them apart from the competition. One of the greatest things that you can do if you are trying to expand your homebrewing knowledge and produce better beer, is start educating yourself. With the help of a good quality homebrew book you can start to produce much better beer as well as learn from some of the mistakes of more experienced brewers. 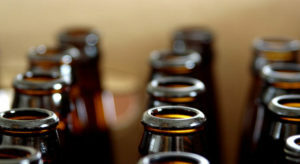 Homebrew Bottles: Glass or Plastic? Flip Top or Screw Cap? Brown? If you have just started a batch of homebrew it could be many weeks before you even have to worry about bottling it. When it comes to producing the best quality beer bottling is a fine touch that many brewers can use to preserve the quality of their beer. This process is actually one of the most time-consuming as far as labor goes. 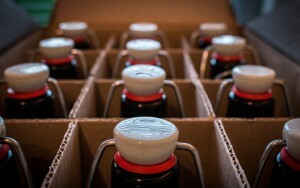 While fermentation usually just involves checking in on the beer, bottling requires painstakingly filling bottles until the beer you have created is gone and packaged. Here are some of the best tips when it comes to bottling and what you should expect using each style of bottle. If you are really passionate about homebrewing and you might want to consider starting your own business, you may want to know how you could actually get started with your own microbrewery. A microbrewery doesn’t have to have the same equipment that a large-scale craft brewery needs to have. With a few proven recipes that you have tried on a small scale, an investment in your time and some money you can get together the equipment you need to start a business in brewing. Here is a list of some of the top microbrewery equipment that you will need to get started. If you are embarking on a journey of homebrewing it’s likely that you’re going to want to consistently be improving on the last batch of beer that you created. The good news is that there are a number of tips that you will pick up in the homebrewing community after you have started to brew your first batches of beer. How Long Does it Take to Brew Your Own Beer? 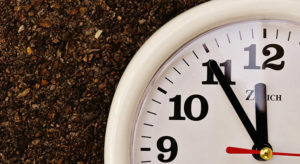 If you are planning on brewing beer it is important to know roughly how long that takes to make each variety of beer. If you want to make sure that your beer has fully matured in the fermentation stage you should be waiting for a variety of signs before you know it is time to bottle. To get the greatest level of satisfaction out of brewing your own beer you may be very tempted to control almost every aspect of the process. 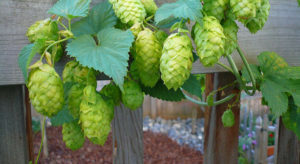 One of the best ways that you can control the taste of your homebrew beer is with the help of quality hops. With many of the world’s best top righties quite expensive to purchase for use in homebrewing, you might want to consider growing your own. The Brooklyn beer shop is known for its one-of-a-kind homebrew kits that are fairly easy to ferment and perfect for hobbyists that are simply getting started. It produces excellent quality beer and comes in a fairly easy to ship box. The beer making kit is available for just around $40 and the everyday IPA comes with a 6.8% and alcohol percentage making it a super aromatic and powerful IPA. 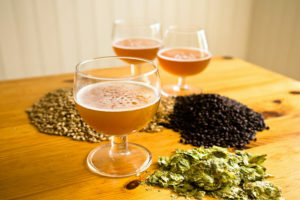 Most beginner homebrew kits produce fairly low alcohol content beer and for individuals that are seeking an IPA with plenty of flavor, this could be an even better starting point. 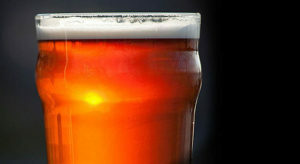 The IPA when produced has a rather golden brown style color as well as a light head on top of the beer. The head area is known for lacing along the sides of the pint glass and the aroma is known for its little hop presence with a sweet smelling malt. Although this is a stronger that contains many hops in the creation, it’s not a terribly bitter IPA. The Brooklyn beer shop making kit Everyday IPA produces just one gallon of IPA which is a fair amount for a small craft batch. Overall these kits are designed for any beginner brewer to simply purchase the entire package online or from a local shop and have all of the options ready that they need to brew. There are many types of full-service beer brewing kits available today. When it comes to getting the ultimate value from a brewing kit you’re going to want high-quality materials as well as a kit that includes almost everything that’s needed to produce a good batch of homebrew beer. There are many elements that go into a good kit for home brews. While it isn’t always clear which beer kit is the best, I decided to do a breakdown of all of the top brew kits available. By contrasting and comparing some of the best full kits on the market we can determine which one is the best investment and which one will set you up with everything you need to successfully brew beer multiple times at home. 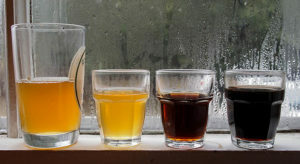 Brewing beer at home for a beginner can be done using a variety of different sources. If you are interested in the easiest way to make beer from scratch you could consider using a kit with step-by-step instructions as well as active yeast and ingredients. 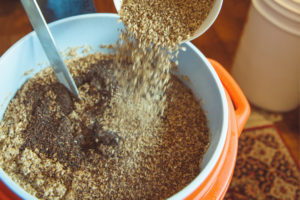 Many people that are interested in Brewing a large batch or focusing on taste however will add all of their own ingredients and brew the beer over a longer amount of time. Most would recommend using a quick kit for your first homebrew experience, but in this article we will cover how you can brew beer from scratch using both methods. There are a number of really big reasons why you should consider home brewing. Not only is home brewing becoming a fast-growing hobby, but more and more people are craving different tastes and trying out different types of beer. Everyone likes a good quality beer and we each have our own individual tastes, with the help of home brewing we can finally find them and discover brand-new hobby that we can do in the comfort of our own home. Home brewing has some wonderful benefits, you just need to try it for yourself! Imagine being able to brew your own beer in just 6 weeks time and for minimal expenses. 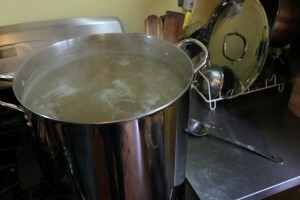 If you are going to be starting on homebrewing for the first time it is really important that you avoid some of the common mistakes that many people make on their first homebrew experience. 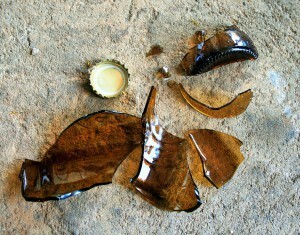 Some of these mistakes could potentially ruin your beer for the future and turn you off from homebrew entirely. If you want to have a successful first batch of beer be sure to avoid some of these top mistakes that are commonly made by many new home brew enthusiasts. If you want to make beer you may be interested to know about some of the easiest kits that you could buy for your first home brewing experience. The best part about many homebrew kits is that they come with all of the materials that you need for fermentation, mixing the malt and in some cases even bottling. By having a full service pack with all of the ingredients that you need, to start brewing, you won’t have to go around to different locations to find the best items for home brewing. 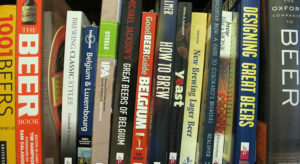 If you are looking for some of the top reference materials for bring your own beer, there are many different types of books available for home brewers across the world. The best books available for home brewers include some of these top seven novels and more. If you are interested in learning more about beer as well as how you can produce better flavor accommodations for your home brews, these are some excellent points to start with. For those who still don’t know yet, IPA stands for India Pale Ale. 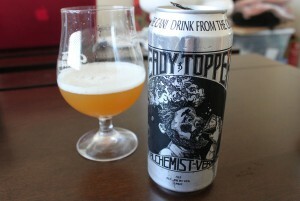 IPAs have been around for almost 200 years and are arguably one of the most popular beers of the last 10 to 15 years. Buying for the beer lover in your life around the holidays or for his birthday can always be a bit of a chore. 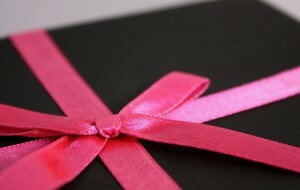 While it may seem a little bit improper to simply buy somebody a sixpack or a selection of craft beers, there are a number of different beer related gifts. They are funnt for some or even can improve the life of any beer connoisseur.